"Will the good lord save" and "will I dance on grave" quotes from Trey. Fish on Madonna washboard. "Will the good lord save" and "will I dance on grave" quotes from Trey. Possum contained You Don't Love Me teases. The Mockingbird Narration referenced Tetris and contained several Dance of the Sugar Plum Fairy teases as well as Star Trek theme teases from Page. I Didn't Know and Mike's Song contained "will the good lord save" and "will I dance on grave" quotes from Trey. I Didn't Know also featured Fish on Madonna washboard. It was the summer of ’92 and I had just completed my freshman year at SUNY Geneseo in up-state NY. 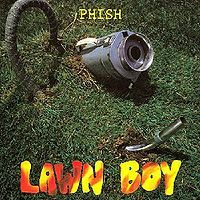 Back home on Long Island, a high school friend who was always picking up CDs based on articles found in guitar magazines had a new album he thought I would like - called Lawn Boy by a group called Phish. I was immediately taken by the disc. I had never heard anything like it before (or since!) and I thought it was perfect. It was musically complex, theatrical, funny, and had a great groove. I immediately bought it along with the other Phish disc I found at the local independent/alternative record shop (Prime Cuts) called a Picture of Nectar. I have never enjoyed playing a CD for the first time as much as I did with those albums, and music has never been the same since. 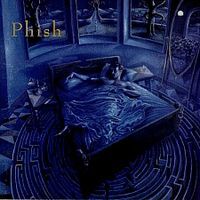 6 months later back at Geneseo, I had found a group of like-minded fanatics with whom I was taking in the newest offering called Rift as well as the few bootlegs that people had found, when I heard that Phish was coming to our University. In retrospect, it seems some pretty amazing luck, but I don’t recall it being too out of the ordinary - it seemed right that they should come. The show started off in a rocking fashion, but I don’t really remember the enormity of the experience setting in until It’s Ice. Not that the show itself was particularly great in a Phish show vs. Phish show comparison, but compared to anything else I had ever seen (which had included the Allmans and Santana) it was amazing. The music was dizzying and captivating. I was trapped beneath the Ice. I ran away with Jim. I was the Tetris piece (Shuttle? Kremlin?). I would never get out of the Maze. I didn’t know either! Set Two starts in with Wilson, and was packed with classic period Phish numbers including Tweezer, Mike’s Groove, and a lyrically botched Fee. The post-Tweezer Contact, Uncle Pen, and BBJ do prevent Set II from sustaining momentum, but I was not complaining at the time. Then they get back to it with an interesting Mike’s Groove. Mike starts Mike’s Song with a Split Open and Melt lick (that’s how I hear it anyway) - not sure if they were not together on where to go or if they were trying a new groove, but it settles into a standard version after a minute until the run-up to the Hydrogen segue where Trey jams on a Simple riff (before Simple came out, of course). Weekapaug has some odd moments which include a brief Page solo and some very sparse playing by all involved before Trey ratchets it back to cruising speed. In an interesting follow-up to the show, I entered a raffle for a signed Phish poster which one of the fraternities was having (they had someone on the event staff)…and won! I later found out that I was the only one who actually bought a raffle, but hey – a win is a win! This poster, now framed and still on my wall, was signed by 5 people – the band plus “Milli Luh” (or Jah or Luk). Not sure if this is Fee’s Fading Beauty or someone else on the crew or something else entirely, but would love to know if anyone has any ideas. In retrospect, Jim from set I and Mike’s Groove from Set II are the stand-outs. Continuing to break new venue ground in New York, the 60th show of the tour is the only show at the Kuhl Gym and you can tell the boys are happy to be around home. It does have the “Where’s the fire?” mentality going again from Fishman which doesn’t necessarily make the show better. It rocks, you can’t deny that, but it makes the playing sloppier overall. Trey seemed to have a rough night playing and most notably singing. Having a little too much fun are we? This was also the first audience recording I’ve heard in a while which gives a much different feel to the show as I’m listening. The front half of the first set is pretty solid from the Landlady, into an early Possum, through the standard Bouncing and Ice. You can tell right away that the tempos are up there tonight. It sounds like the natural reverb of the room or the sound system created a strange echo effect because Glide had some timing problems, like they couldn’t hear each other, and was also too fast. Jim had a really nice jam and was well played. Forbin’s was even too fast for my taste. The usual ridiculous story follows, with great teases from Page, before a decent Mockingbird. Maze actually was a little weak tonight, but still rocked. Usually this one is automatic, but just wasn’t all there. IDK was funny as usual with Fish on the washboard for this one. 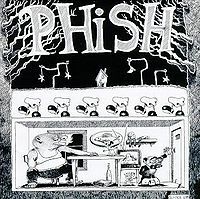 Golgi had a few off spots here and there and Trey completely muffed the ending lick making for an awkward ending to a rocking set. Second set starts off with another trip into Gamehenge with a rusty sounding Wilson, and Trey blows the lyrics. The Curtain starts off good, but almost fell apart in the middle. Trey is showing his trademark impatient behavior as he slips right into the Tweezer lick before the Curtain even ended. Tweezer rocked in the usual fashion and then we have Contact? I don’t think I’ve ever heard one in the middle of the set before and this one was pretty well played. Pen was super fast and had a weak ending and then the Balls come out… Mike’s Song starts off with a weird funky lick and I can’t tell what they are teasing here. 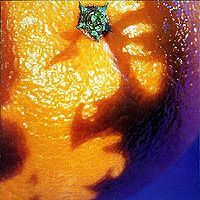 Mike goes with it anyway and the jam is a little aimless again, but it sounds like the Simple lick is really taking shape from Trey’s part. Hydrogen has its usual slop and little timing issues. 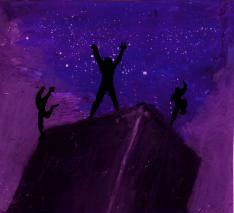 Weekapaug had a long dynamic jam and sounds like there are more unidentified teases in there. Trey blows the lyrics to an otherwise good Fee. The impatient Trey goes right into the Tweeprise lick, like he has somewhere else to be. The new There’s Something Wrong with My Baby moves to the encore spot tonight and I really like how all four of them sing on this one. It’s pretty early in their career for Fishman to be singing leads with them. Everyone gets shushed for a decent Carolina, and then a fast and furious Rocky Top closes up the night nicely. It’s not a bad show, but Trey’s impatient song switching and Fish pushing the beat too fast in every song made this one just average to my ears. I’m going with three stars to bring the average down on this one.